Troll … or hint? We’ll find out soon enough most likely. 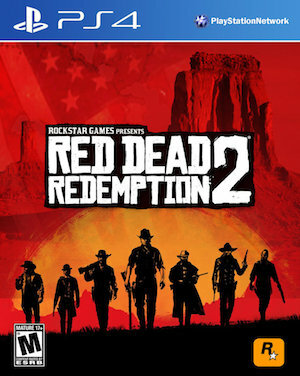 If you asked the gaming community at large which game they would most like to a see a current generation sequel, the answer would almost assuredly be Red Dead Redemption. There have been few games that were as loved as that original title that have also been inexplicably left alone by their developers. In some circles, the game is as popular and has as devoted a fan base as the Fallout series. Still, there really hasn’t been much talk in the way of a sequel for several years. This reaction might seem a bit harsh on first glance, until you look at the first letters of every word he said, paired with 2. That’s right, it appears as though the former employee is saying that he believes Red Dead Redemption 2 [RDR2] is going to be the next game in the series. We’ll have to take his word for it, because there hasn’t been any concrete information from the developers just yet. There’s always the chance this was a troll too, but that doesn’t seem like a particularly wise thing for Ross to do. Stay tuned.